Can I Backup my Emails? 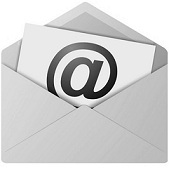 Most email clients store the emails in a file or folder. For Outlook you will need to backup the local .PST file(s). If you know where this is you can simply add the folder to your backup selection. For Windows users, click here for information on adjusting your backup selection. For Mac users, click here for information on adjusting your backup selection. Please note that you can only backup emails where they are stored on your computer. If you use Exchange then you will have a .ost file on your local machine and this file cannot be backed up using VSS.